While IT budgets shrink, technology demands continue to be on the rise, leaving IT professionals trying to do more with less. IT hardware manufactures, however, continue to announce end of sale for many of their most common products and push out newer products with a higher price tags. Most companies are unable to keep up with the pace of the manufactures and are stuck trying to figure out how to do more with less. At Network Craze, we understand the need for providing alternative solutions for companies to support and procure the technology their business needs require. New technology is batch tested, which means not every single product is fully tested prior to being shipped and delivered to a customer, which increases the chances of receiving a DOA unit. Our refurbished hardware is tested – and retested – prior to being shipped, ensuring that your hardware will be plug and play when you receive it. Our refurbished equipment can save you up to 70% off manufacturer list prices. For most companies, that can mean an additional 30% savings on hardware purchases. These discounts are offered on both current and end of life hardware products. At Network Craze we don’t believe you have to upgrade just because the manufacturer tells you to. We will continue to sell and support end of sale product, refurbished, for as long as our customers need us to. Why overspend on hardware that is way beyond the technology requirements of your business needs? We will help you keep your current network up and running until your business needs change. All of our refurbished equipment ships with an industry leading Advance Replacement Lifetime Warranty. Every product ships with Network Craze stickers with our phone number so should you need a replacement, you know who to call. Buying refurbished equipment can do more than help your business optimize its network and save money. It can also help reduce unnecessary waste. 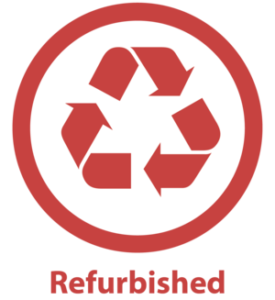 By purchasing refurbished equipment, you can help ensure that products stay up and running for as long as possible rather than being prematurely sent to landfills. It can also help bolster your own business’s reputation as an eco-friendly organization that makes choices to better the environment. Network Craze will even buy back your old products getting you credit toward your upgrade. So, are you ready to go the refurbished route for your network needs? Click here to get started. We helped a customer with a large project for a not for profit organization in Africa. Upon discussing the project and what they were trying to accomplish we told them that the equipment they wanted was overkill. We did an entire new spec for them with previous generation equipment and saved them over $ 50,000 on the project!